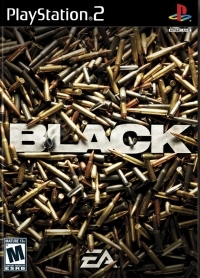 As a BLACK operative, you’ll obey no laws, know no borders, kill without mercy, and live by the Five Rules of Guncraft. •1• Guns Are the Stars. •2• Every Bullet Is Your Baby. •3• Bigger Guns, Louder Explosions. •4• Leave a Trail of Destruction. •5• Get Creative with Your Skills. 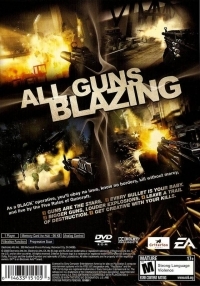 01-20-2019 silverbow Box Text ALL GUNS BLAZING As a BLACK operative, you’ll obey no laws, know no borders, kill without mercy, and live by the Five Rules of Guncraft. •1• Guns Are the Stars. •2• Every Bullet Is Your Baby. •3• Bigger Guns, Louder Explosions. •4• Leave a Trail of Destruction. •5• Get Creative with Your Skills. This is a list of VGCollect users who have Black in their Collection. This is a list of VGCollect users who have Black in their Sell List. This is a list of VGCollect users who have Black in their Wish List.